Drive a few minutes out of Byron Bay, the most easterly point of mainland Australia into the lush hinterland and you’ll find sweeping orchards and orderly rows of the Macadamia Tree, Macadamia integrifolia. 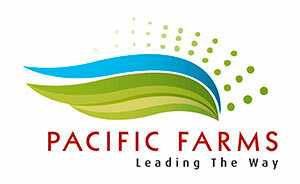 Sitting on land that was once pasture it’s home to the MacRae family, founders of Pacific Farms. Over a third of the world’s commercial Macadamia production comes from the east coast of Australia and Pacific Farms contributes significantly through our own farms and those of the many growers whose nuts we process. Starting a macadamia farm from scratch is challenging, as nurturing, harvesting and processing the nuts is a skilled and demanding process. As anyone who has hand shelled a Macadamia will agree. It takes five years for a tree to produce an economic crop, which the MacRaes countered by establishing a nursery, growing seedlings to expand the orchard, systematically replacing those trees which are ageing and tiring with younger, higher yielding varieties and selling seedlings to other growers, to expand the industry. However over the last four decades much of the successful development of Pacific Farms is due to David MacRae’s wizardry as an inventor. Collecting fallen nuts was once backbreaking work, as they have to be picked up and processed quickly to maintain freshness. On a trip to California David saw a machine on a golf course that literally harvested golf balls, trapping them between flexible spikes. Adapted to collect much smaller Macadamia nuts the machine has saved the spines of countless workers. His ingenuity didn’t stop there. He conceived a machine that helps pick up nuts from super soggy ground: rain is both friend and bane of Macadamia growers. Development never stops. Quality and sustainability is key. New methods of growing, nurturing, processing and marketing are constantly explored.